When checking the general condition of the vehicle, which of the following should be specifically addressed? Approaching the vehicle: Notice its general condition. Look for damage or vehicle leaning to one side. Look under the vehicle for fresh oil, coolant, grease or fuel leaks. Check the area around the vehicle for hazards to vehicle movement (people, other vehicles, objects, low hanging wires, limbs, etc.). Check belts for tightness and excessive wear (alternator, water pump, air compressor)�learn how much �give� the belts should have when adjusted right, and check each one. In order to perform the in-cab and gauge inspection, which of the following must be done? How many reflective triangles are required to be kept as part of a trucks emergency equipment? 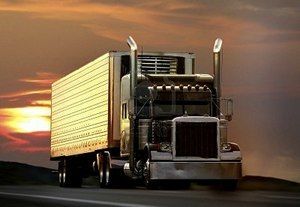 To obtain a CDL you must pass a pre-trip vehicle inspection test. You will be tested to see if you know whether your vehicle is safe to drive. Oil, coolant, charging circuit warning lights should go out right away. How long should it take oil pressure to come up to normal? Should come up to normal within seconds after engine is started.